Guests at 1828 Smart Hotel can manage all electronic devices such as the air conditioning system, the opening and closing of the curtains and lights, as well as LCD TV and music, can be managed from a tablet, cellular phone, or computer. The hotel offers an outdoor swimming pool, gym facilities and modern, minimal-style décor. 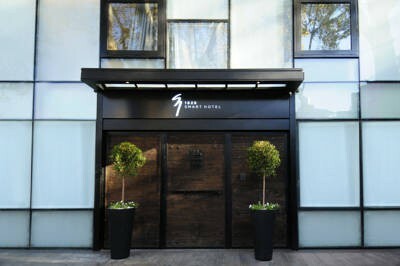 Free Wi-Fi is available.1828 Smart Hotel Boutique has air-conditioned rooms with minibars and TVs. All rooms include bathrobes, slippers, coffee machines, and DVD players. 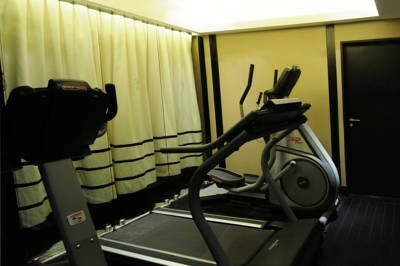 Some rooms also have a private balcony.Guests can rely on the tour desk for getting around the city. The trendy Palermo Hollywood neighborhood with its pubs and shops is a 10-minute drive away.Buenos Aires Zoo is a 10-minute walk, and so is Santa Fe Avenue, with plenty of bus and taxi stops. Ezeiza Airport is 30 km from the hotel.